Welcome to the Winter 2019 issue of Tax Update—our newsletter for the business community. This edition features articles on the new Idaho W-4, income tax changes, refunds, office moves, new tax guides, and more! 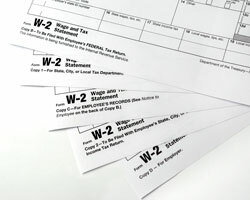 The Tax Commission has launched the first Idaho-specific W-4 form to help taxpayers more easily calculate how much state income tax their employers should withhold from their paychecks. The goal is getting Idahoans who haven't yet updated their withholding since last year's historic tax reforms to use Form ID W-4 and get their calculation right for 2019. We've mailed or emailed you a copy of the Idaho W-4. It's also available on the Tax Commission website at tax.idaho.gov/w4form. We urge you to encourage your employees to update their Idaho and federal W-4s. We've also updated A Guide to Idaho Income Tax Withholding with the new form, and we've issued a new flyer for you to share with employees. Both are available on our W-4 page at tax.idaho.gov/w4. We urge you to follow the steps below to update your paycheck withholding. Save yourself from an unexpected tax bill. Note: These deductions increase each year based on IRS calculations. Personal and dependent exemptions eliminated. Itemized deductions capped or eliminated. A new, nonrefundable Idaho child tax credit of $205 added for each qualifying child. Income tax rates reduced by 0.475 of a percentage point. The top rate for individuals now is 6.925 percent. Corporate tax rate reduced by 0.475 of a percentage point. The rate for corporations now is 6.925 percent. Internal Revenue Code (IRC) Section 179 expense limit increased to $1 million. Employee transportation and parking reimbursement repealed. Employee commuting and parking expenses are no longer allowed. 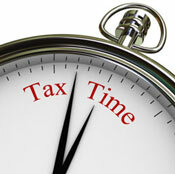 IRC Section 199A – Most pass-through income reduced by 20 percent on the owner's income tax return. Note: Idaho doesn't conform to bonus depreciation. For more information on the changes, see our Conformity webpage. Pay your income taxes online without creating an account through our Quick Pay service at tax.idaho.gov/quickpay. With Quick Pay, you authorize the state to take a certain amount of money from your checking or savings account. The service is free. Use Quick Pay if you make only a few payments a year. It's a great option if you want to spread out payments for your income taxes between now and the April 15 due date. Want to know where your refund is or how long it will take to get it? Here are some refund facts to help you out. 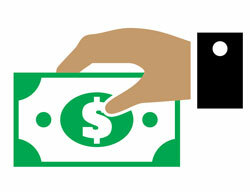 Visit tax.idaho.gov/refund to get the most up-to-date information about your income tax refund. The refund status graphic tracks your return's progress through four stages. The time frames below are general and don't apply to every refund. 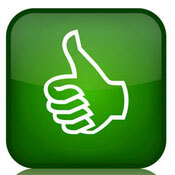 E-filers: Expect your refund about seven to eight weeks after an acknowledgment that we have your tax return. Paper filers: Expect your refund about 10 to 11 weeks after we receive your return. We must manually enter information from paper returns into our database. First-time filers: It takes about three weeks to enter a first-time filer into the system. Until that time, we'll report your return as "not entered in system." Add those three weeks to the estimates above to determine your refund time frame. If you received a letter from us asking for more information: Your refund will be delayed until we get the requested information. It then will take about six more weeks to finish the process. Please respond quickly to our letters so we can review your information and send your refund as soon as possible. Two of our offices will be moving this year. The Pocatello office will move in February and close for two days as we transition to our new office space. The Boise office will move in the summer. We won't have any interruption in taxpayer service during this move. Check tax.idaho.gov/visit for information about when the moves will occur and for the new office addresses. You also can follow us on social media or subscribe to our newsletters to get move updates. We've launched a reminder service through Taxpayer Access Point (TAP). As a TAP account owner, you can opt to receive emails that remind you to file your tax returns. The reminders cover only those returns you file through TAP. 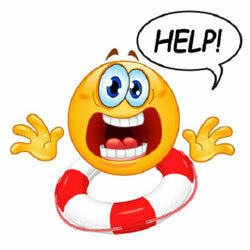 File Form 967 and W-2s by January 31, and file 1099s by February 28. Please follow our online instructions for this option. The final Form 910 for 2018 also is due in January. Use TAP for the fastest and easiest way to file your withholding forms. We've transformed more brochures to tax guides and updated them for easier reading. Check them out! We've organized links to tax-specific information into one place on our website. These hubs make it easier for you to find the resources you need. You can find links to the hubs on our website's homepage. January 28, 2019 – The day we begin processing 2018 Idaho individual income tax returns.